I’m super pumped to kickstart my third SXSW and while some things are the same (scored free taco not even five minutes after picking up my badge), I’m still getting used to one big change. I am not volunteering at all, which makes this my first festival attendance as a *regular person*. Woot woot! Here’s my plan of attack for the next week. As usual, I’m going for feature debuts, music docs and films made by and/or about people of color. I’ll be posting highlights on Facebook and Twitter so stay tuned. Indies Unchained has been up and running for eight months now, which is something I’m very proud of. To highlight this accomplishment, I wanted to offer a sort of greatest hits segment featuring my highest viewed posts. This post was originally published in January. 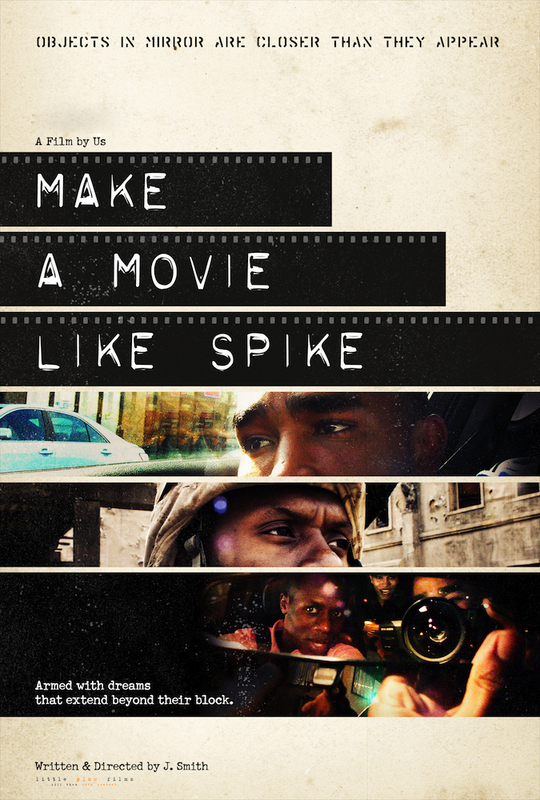 “Make a Movie like Spike” is now titled “The American Dream” and available for purchase on Amazon HERE. “Circumstance” is now available on Amazon Instant and DVD/Blu-Ray. I had the opportunity to see a film called “Make a Movie like Spike” at the 15th annual Urbanworld Film Festival this past September. Everything about this film is absolutely inspiring, from the plot about young Black men in Los Angeles documenting their last days before deploying to Afghanistan to the story of its creation by actor-turn-filmmaker, Jamil Smith. I’ve been feeling a little down these last few weeks and haven’t found the energy to keep my scriptwriting up. I’m extremely disappointed in myself. Why did I settle for a part time job if I wasn’t going to use my free time for writing? (Well, technically the traveling takes up time and it’s not like I’ve been able to even find another job…) In any case, I could be doing more, and I’m not. But today I had to wake up at 5AM to go to a meeting at Sears. My coworkers and I laughed at some “mattress humor,” and I came to realize how absolutely and radically different my life is than what I expected. I’m laughing at a Stearns and Fosters joke, when I should be laughing at some grip or lighting jokes. I wish I were on set—rather, I wish I could get paid to work on set. Instead, I’m memorizing coil counts, which beds have which layers of foams, and how to get customers to realize that returning a bed affects my being able to make rent each month. If I settle on this notion, however, I’ll be all depressed and all the more unmotivated. It might be the three cups of coffee today, but I’ve decided to bring my spirits up come hell or high water. So, taking motivation from writing exercises I was forced to do in college, I’m finding that I do really miss scriptwriting. Hopefully you guys can work through your slumps with these pretty cool writing techniques that have helped me in the past (and I’m sure will help me now and in the future).